It’s one of my favourite times of year. It’s light till late, and it’s getting warmer. June is one of my favourite months. It’s perfect for a bike ride after work. I’ve shaken off the sofa and regained my love of cycling this week. I’ve jumped on the bike on five of the last seven days. True, I’ve set no distance or speed records but I’ve felt better for the fresh air and exercise. My hill climbing is getting better (admittedly from a very low base) and the downhills have been as much fun as ever. 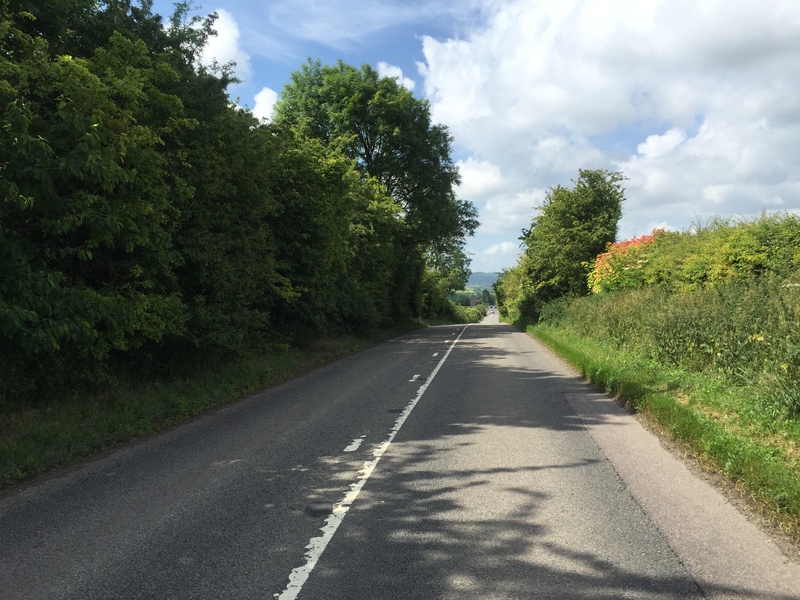 I’m starting to dream about bigger cycling challenges – including the promised first century ride since 2005. Technology has changed cycling. Strava is the runaway success, mapping your rides and performance and allowing you to compete against others on the same stretch, or segment, of road. It has changed the behaviour of many cyclists, as the Independent reported in 2013. I still like Garmin Connect, Garmin’s answer to Strava, although I wish Garmin would make it easier to upload ride information from my Garmin Edge 800. At present, I have to plug the device into my computer, then manually open Garmin’s separate Garmin Express app to upload data. (Newer devices can, I’m told, upload directly.) You can also share your Garmin data with Strava. 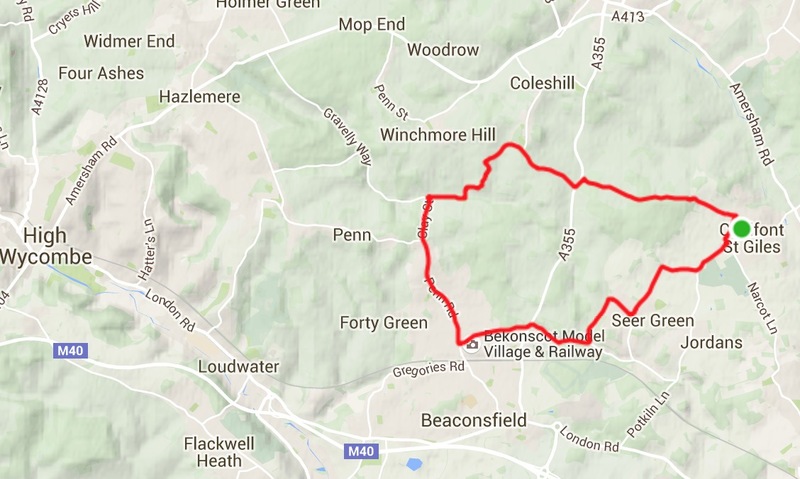 The map above shows one of my favourite rides, a switchback route to Beaconsfield and back. 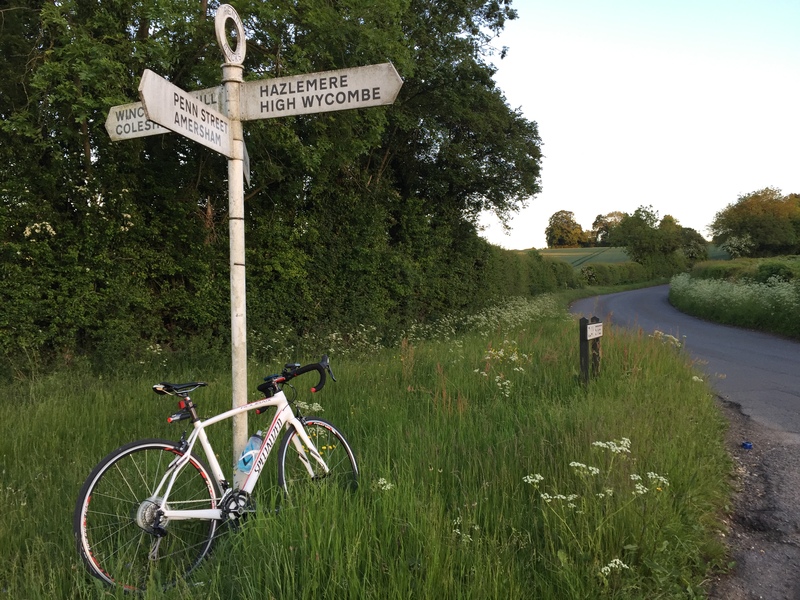 Living in the Chilterns, I’m lucky to have lots of scenic and hilly rides. This is a lovely 10 miler, with a few good but short hills. I couldn’t resist stopping last Wednesday evening to take a photo before tackling Clay Street hill towards Beaconsfield, followed by a delicious swoop down to Beaconsfield new town. Today, Owen and I rode our new Thorn Raven Twin childback tandem to his cricket class in Gerrards Cross. We recorded our fastest ever ride on the way out: an average of 13.7mph. The tandem is so fast on the flat and downhill. Owen’s friend seven year old friend Freddie was delighted to get a test ride on the tandem. This is a lovely bike: Robin Thorn and Andy Blance have created something special.